Andriod only provides development tools (ADT) plugin for Eclipse. Folks at Project Kenai however have developed a similar plugin for Netbeans. 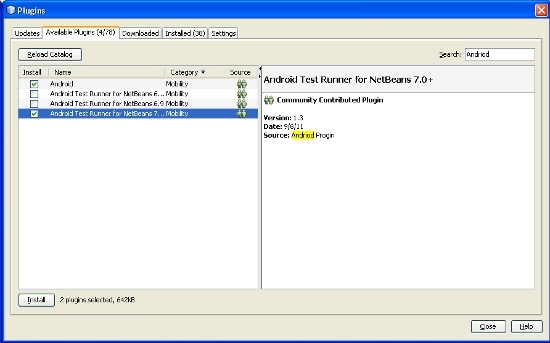 This blog will show you how to install and enable ADT in Netbeans 7.x, in Windows. This guide should also work for the Linux version of Netbeans. Open your Netbeans and from the menu bar at the top of main window, get into Tools/Plugin. From the plugins window select Settings tab. Locate the add button near the bottom-right corner. Click on it. You will get the dialog box shown below. This window lets you create a new custom update center. Name your new update center with any name you desire say "Andriod". Enter the URL to Andriod plugin center shown below to the URL box. Hit OK to save, do initial update. 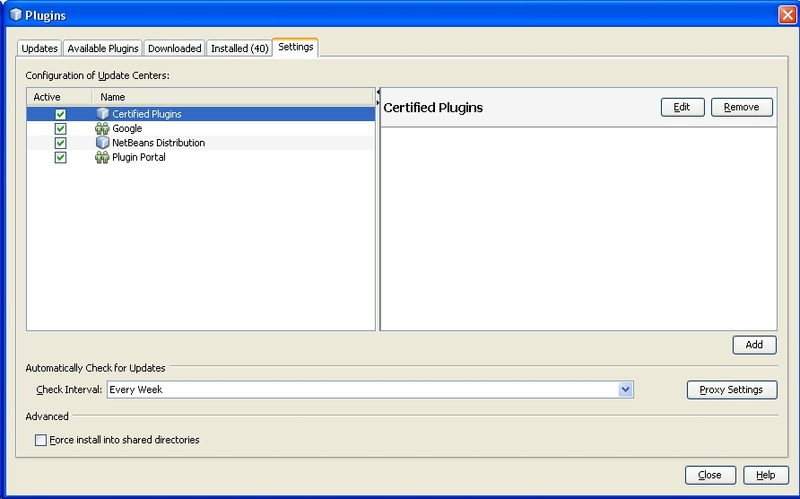 As of blog time version 1.9 of the plugin is available. Close the dialog box. This gets us back to the plugins window. Now click on the Available Plugins tab and enter "Andriod" in the search box in the upper right hand corner. Check/Select Andriod and Andriod test runner for Netbeans 7 in the list box in the left side of the window. Hit install located at the bottom left. See screen capture below. Follow the screen prompts. Close window when done. This takes up back to the main window. 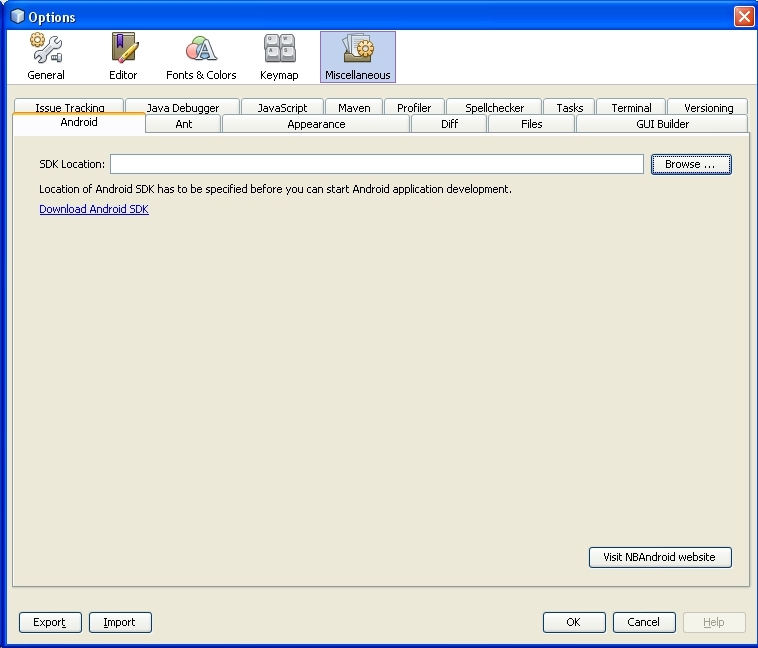 From the menu bar, go to Tools and select Andriod SDK/AVD Manager to manage the Andriod SDK. If the SDK cannot be located, you will get the window as shown below. Set your SDK location in this window. Browse to the location of your SDK or enter location manually. If your SDK has been located, you will get the window like what is shown below. Do some updates if you like. Thats it, your environment is setup. Create your new mobile projects selecting "Andriod" as project type and selecting your target device.